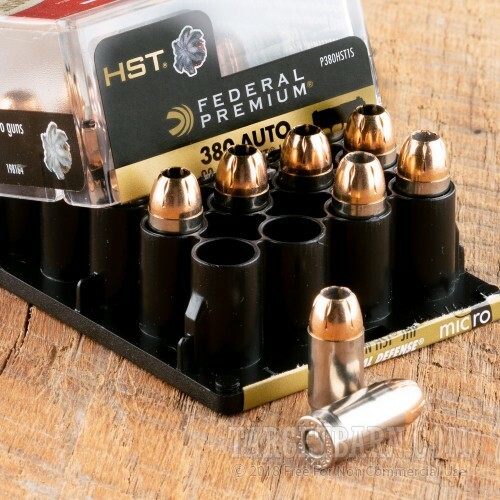 Whether your defensive handgun of choice is a Glock 42, SIG P238, Ruger LCP, or other .380 ACP handgun, this ammunition from Federal is an excellent carry load. 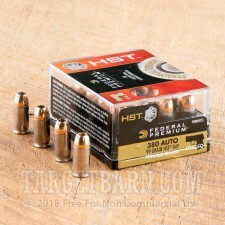 Each cartridge in this box of 20 fires a 99 grain HST jacketed hollow point bullet at 1,030 feet per second. 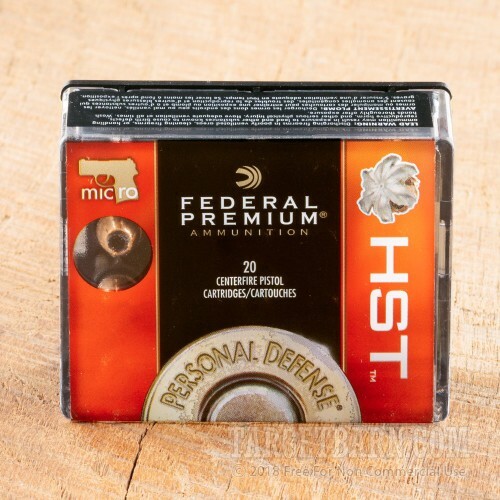 The skived tip of the HST is optimized to produce the right amount of expansion and penetration needed to stop an assailant. Compared to other .380 Auto loads, this is a relatively powerful cartridge that delivers better terminal performance at the cost of slightly higher felt recoil. 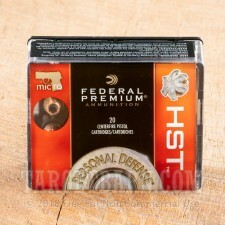 Federal HST ammo is made in Anoka, Minnesota using non-corrosive Boxer primers and brass cases.